Cannonball Jellyfish, sometimes called cabbage head jellyfish or Jelly Balls, look like their namesake. Its Latin name is Stomolophus meleagris, meaning "many mouths hunter." They are found in estuarine and salt water. They are one of the most common jellyfish along the southeastern and Gulf coasts of the United States, but have also been reported from New England to the south Atlantic, from southern California to Ecuador in the eastern Pacific Ocean, the Sea of Japan, and the South China Sea. Jelly Balls can have milky brown to yellow color and look like a large, half-mushroom. 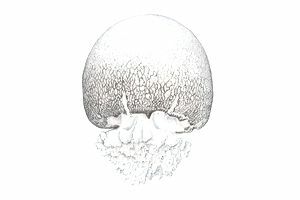 It differs from most other jellyfish in that it has a more muscular body and that it is a good swimmer. The “bell” reaches about eight to 10 inches wide and is lined with brown pigment. He has short, excellent oral arms with secondary mouth folds, called scapulets, at the base of the bell to catch small prey. Cannonball jellyfish feed on plankton and larvae. They have a symbiotic relationship with the regular spider crab, which also eats small zooplankton. Cannonballs are an important food source for leatherback turtles, so preserving the cannonball jellyfish is important. Believe it or not, cannonball jellyfish are commercially harvested as food for humans. These jellyfish look like a mushroom floating in the water. When disturbed, the jellyfish secretes mucus from its nematocyst (an organ consisting of a minute capsule containing an ejectable thread that causes a sting) which contains a toxin. The toxin damages small fish in the area and drives away most predators, except for certain species of crabs. Although not often, the toxins can cause cardiac problems in animals and humans, causing an irregular heart rhythm. The toxin is also harmful to the eyes when the nematocyst contacts the eyes. It can be very painful and is followed by redness and swelling. A cannonball jellyfish attacks only when instigated. Commercial harvesting of these jellyfish as a food source is popular, especially in the Asian region. It is the high nutritional and protein content of these jellyfish that make it such a good source of food, especially in the poorer areas where little protein availability in the diet is common. The jellyfish is eaten as a delicacy in Japan and has also played an important role in traditional Asian medicines for thousands of years. It is also believed that Jelly Balls have extra medicinal qualities and is helpful for conditions such as arthritis, bronchitis, and high blood pressure. These jellyfish are processed right away after they are taken out of the water, for they tend to get stale rapidly. The population of these jellyfish is distributed in the deepest oceans in the world, including the Pacific, the mid regions of the Atlantic Ocean, and in the waters of New England, all the way to Brazil. Warm waters with an average temperature of 74 degrees Fahrenheit are considered ideal for these swimmers. Their anatomy allows them to reproduce asexually as well. Sexual reproduction occurs when they are in their “Medusa” state. It is the state when the jellyfish have attained full maturity. When they are in their polyp state, asexual reproduction occurs through budding. During sexual reproduction, these jellies shoot their sperm out of their mouth, which is caught by another jellyfish, causing fertilization. The oral arms around the mouth contain special pouches which serve as wombs for the embryo to develop. A few hours later, the larvae detach themselves from the pouches and find a hard structure to latch on to. It is there that the larvae grow in polyps, and even being in this stage, they are capable of preying on small creatures that pass by.